for $749,000 with 3 bedrooms and 3 full baths, 2 half baths. This 4,048 square foot home was built in 1902 on a lot size of 15.4200 Acre(s). While it is hard to find words to describe this iconic property, this truly magical one of a kind home located in the heart of the Catskills is not to be missed. The property consists of the main house'”an impeccably converted and renovated dairy barn built in 1873, two guesthouses, and three glamper cabanas. 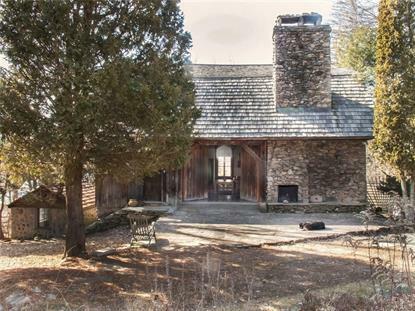 It is set on 15 beautiful private acres featuring a spring-fed swimming pond, custom treehouse, creek, bluestone terrace and stunning views of the Delaware k Barn is a perfect opportunity for anyone looking for an upstate dream home for themselves or their family. MILK BARN has a proven track record of rentals for weekenders, weddings, photo shoots and retreats, which does more than cover the carrying costs. It should be noted that besides receiving much press, this incredible property has been a destination for such companies as Ralph Lauren, LL Bean, Mr. Porter and more for photo/lifestyle shoots. Search: Milk Barn for press coverage and further descriptions.